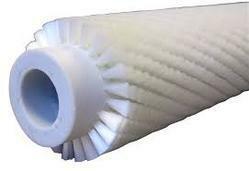 Prominent & Leading Manufacturer from Ahmedabad, we offer cylindrical roller brush, fruit polishing roller brush, roller brush, buffing roller brush, glass cleaning roller brushes and cylinder roller brush. Our organization is known in the industry for catering a distinguished segment of Cylindrical Roller Brush that can be applied in many industries for multiple applications. A pattern of holes is drilled into the core of this brush. This roller brush is manufactured from the superior quality material & modern technologies in fulfillment with the concert of industry norms. The roller brush offered by us is well tested by our quality controllers in order to ensure its flawlessness. 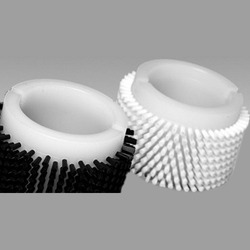 We are renowned as one of the most popular enterprises in this industry, offering Fruit Polishing Roller Brush. 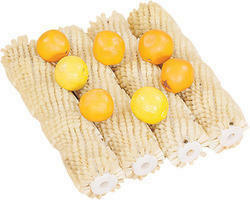 Our given brush is used for cleaning fruits in order to make it dust free. 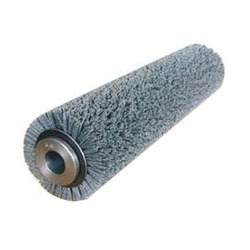 The roller brush offered by us is provided in finest packing for ensuring defect free transit. Our roller brush is manufactured from the excellent quality of material & latest techniques keeping in mind the set standards of the industry. 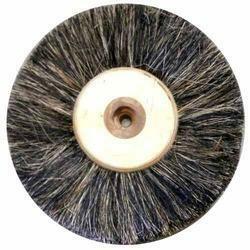 We have carved a niche in the market by providing an exclusive quality range of Roller Brush. The offered brushes are made available in diverse sizes, shapes, finishes, colors and can also be customized as per the specific needs of the clients. This range of brushes is manufactured in adherence with the set standards using the finest grade fibers and other allied material. 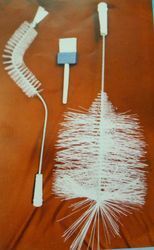 Clients can avail these brushes at market leading rates. We are counted amongst reckoned names in the industry, committed to offering a wide gamut of Buffing Roller Brush. The offered brush is manufactured using optimum class basic material and advanced techniques in sync with predefined industry norms by skilful professionals. Furthermore, we provide this brush in different sizes to fulfill the needs of our precious patrons. This brush is thoroughly tested against different parameters in adherence to defined industry standards. 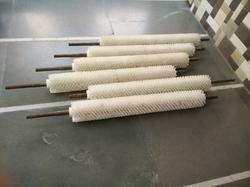 We Manufacture Glass Cleaning Roller Brushes as per our client's reuirement. 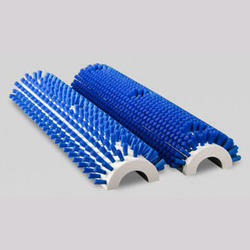 These Roller Brushes are made from heavy quality Garware Nylon 6 material. We are also expert in Rebristling of the brushes.